ANNIE Pfeiffer (11) is champion in her age group at the UWA Little Athletics Centre (UWALAC) for the third consecutive year. The Presbyterian Ladies’ College student had an impressive 2015-16 season breaking the triple jump record twice. Pfeiffer’s most recent record-breaking triple jump length was 9.66m. She also owns the club’s long jump record of 4.7m. It is not surprising that triple jump, along with the 200m, is her favourite event. 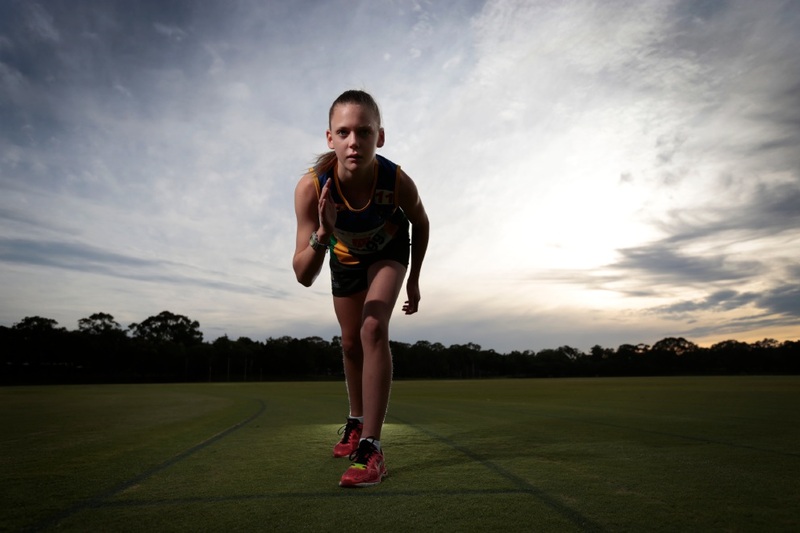 At state level last season, the Mosman Park resident won the WA Little Athletics (WALA) Multi Event Championships where competitors accumulate points for competing in five track and field events – long jump, 100m, hurdles, discus and 800m. Pfeiffer also won gold medals in the 100m, 200m, 400m, triple jump and long jump at the recent WALA State Championships. The athlete, who joined UWALAC four years ago, said she was proud of her achievements last season, despite being surprised when she was announced champion for her age group. “The things I really enjoy about little athletics are the friends I have made and the fun we all have,” Pfeiffer said. “The coaches are great and really encourage us to do our best. Pfeiffer said she wanted to keep improving, learning and “of course having fun” next season.